This horse is a gem. 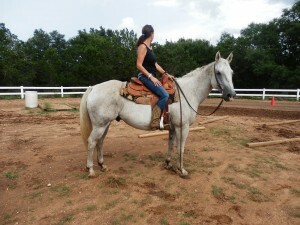 Sterling is a 13 year old gelding that came straight off a ranch this spring. 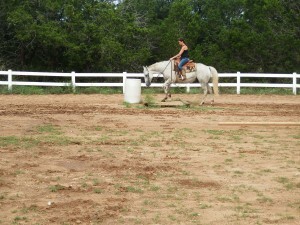 He has been a good ranch horse all his life. 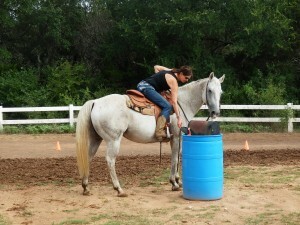 The big ranches transition our there horses at this age and bring in the new young ones to work. 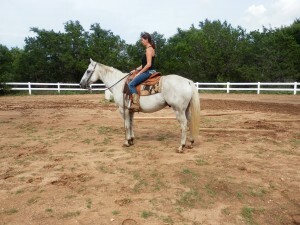 Our buyer has a first look at many of these horses from her many ranch contacts. 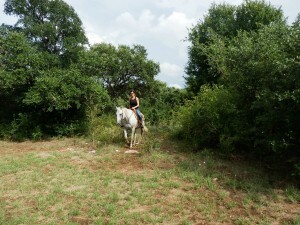 Sterling came this spring and was used as a lead horse for a big camp here in Marble Falls. 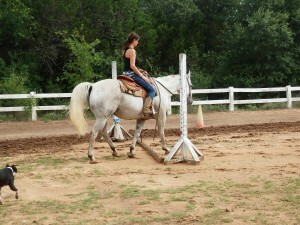 All the horses at this great camp were furnished by us. As soon as he finished that job he is now back at Tonkawood and ready for a new home. If you want safety, experience, great temprerment and a good sound nicely made horse he is the one. We recommend him for any rider. He is a big one, he stands 15 1 hands and goes over 1000 lbs.